The coupling strength of the weak nuclear force (the Fermi constant, GF) is defined. Unlike gravity and electromagnetism, there is no classical (non-quantum) version of the weak force. It is therefore challenging to define GF without recourse to quantum field theory. This is done, in an admittedly heuristic manner, by appeal to classical energy densities - as a surrogate for quantum fields. It is hoped that this provides some physical feel for the meaning of GF and, in particular, why it is a weak force compared with electromagnetism at low energies. This formulation is sufficient to explain why the weak and electromagnetic forces become comparable in strength at energies of order 100 GeV, presaging the existence of the weak field quanta - the W and Z bosons. 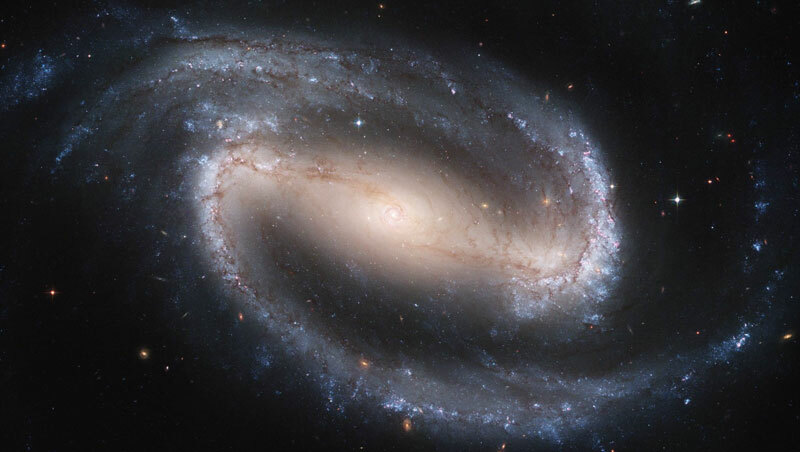 Barred spiral galaxy NGC1300, 70 million ly away in the constellation Eridanus (Hubble/NASA).